Earlier this month, we told you that Google is holding a pair of events for those developers who shelled out $1,500 to purchase the Explorer version of Google Glass. The first event will take place at the end of this month in San Francisco followed by another one in New York City at the beginning of next month. The developers will be taking part in these hackathons that Google is calling the Glass Foundry. The events will take place on January 28th and January 29th at Google San Francisco, and February 1st and 2nd at Google New York. You might think that the developers, who will get to take their Google Glass back home after each event, will have plenty to say about this new device. But Google has made sure that nothing about Google Glass will be leaked. First of all, Google will release the Glass to the developers to take home with the promise that no one else will get to use them. All video and images taken with Google Glass become Google property and any thing recorded usingthe device will automatically be uploaded to a special Google Plus account that each developer will receive. In addition, developers are being told by Google not to wear their Google Glass while walking down the street, driving or playing sports. And the developers will not be able to discuss anything about Google Glass with the media, or show images or video to anyone without express consent from Google. It is possible that there will be a leak or two despite the restrictive non-disclosure agreement that must be signed and agreed to by the Glass buyers. 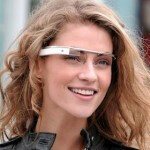 The versions of Google Glass being handed out during the events are only for U.S.use and are for testing purposes only. Despite having Wi-Fi and Bluetooth ttansmitters and receivers, the FCC has not yet authorized Google Glass which means only those authorized to use them can test them. Google will "de-brief" users to get their feedback. Let's revisit this early next month to see if anyone decides to blab. With this many restrictions theyre not even yours anymore. They are developer units so Google still has rights to a very long, tight leash. Would you make something that can revolutionize MultiMedia then give them out to test and create new things for them without having restrictions to say, Not allow other companies get info on them? To not allow someone to just be able to steal? (Reason to not take them outside on walks or play sports) If I was google, I would make sure there is a tracking chip or something on each one to make sure you can always and forever be able to know where they are during this phase to make sure you dont get Screwed by the 1 or 2 stupid people who will get them. With so many conditions and google keeping data hostage the glass should have been offered free to those developers. Pay 1500 for being Alpha tester? This is standard confidentality agreement type suff tho. How many of us have even seen a rumored phone in the wild? Just being a tester for software.....you sign similar agreements and are not supposed to talk about it. I do agree.......they shoulda been offered for free if with all you cannot do. Were these restriction placed on that gaming device? No guys, those are not testers, those are not nerds who spent some money just to play with the latest gadget... those are professional developers, game studios, IT companies who invested money to be among the first who will be able to develop applications for the product. This means that when the product will be on the market, their applications will come out first and will have a considerable advantage on their competitors. That's what they are paying for, and to be honest it's not that much. You are right. I think there are dev versions of game consoles out. I know there is one for the PS3 and PS4. You have to pay for them. They are definitely not free...lol. You dont really hear info about new things in the gaming industry until the companies wants you to know, for the most part anyway. There are always leaks...whether intentional or nor. One could consider the info about this NDA a leak. Damn wish i was their. They only do this too protect their software thats in the glasses. Still i can't wait too see em in action. It's to prevent Apple and other rivals to steal Google's technology. 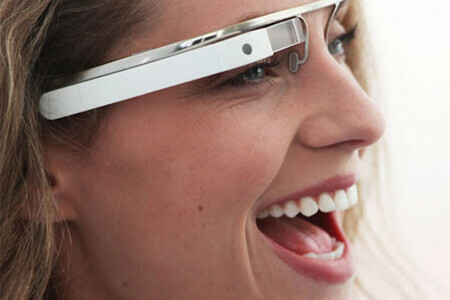 Pa, did you pay for thr google glass at last year's google i/o? If so... Would you review it? I remember there was this patent filing by Apple regarding blocking of network or data connection in specified (restricted) areas.. That patent could be beneficial to this so as not to make this a rogue device..